Among the most fascinating pasta shapes out there, the word “Pannocchie” literally translates to mean corncob. However, this pasta creation from Marella actually doesn’t look anything like a corncob. Instead, this bag of Pannocchie Coils look like fusilli pasta, only with wider diameters. Now, just like fusilli, it can hold a lot of your sauce in its corkscrew curls. In addition to that, you can serve it with any of your favorite sauces, may it be creamy, meaty, or tomato. You may even serve it with a seafood sauce. 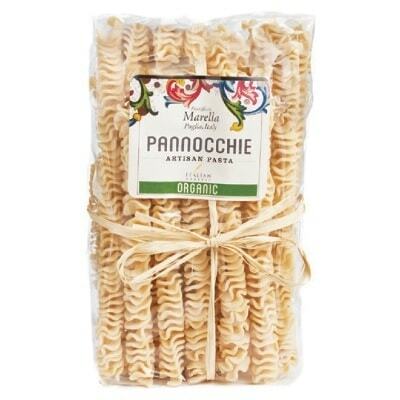 Clearly a must-have for any Italian pantry, get your hands on some of these pretty pasta today!